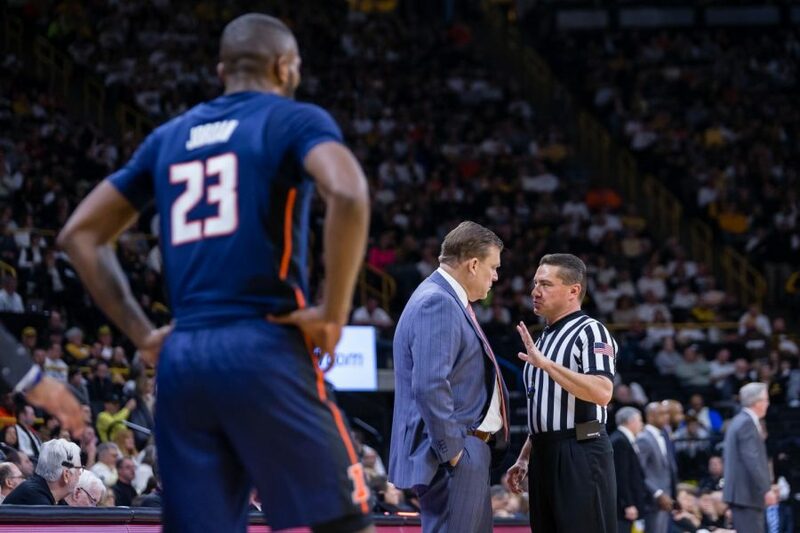 Illinois head coach Brad Underwood talks to the official after guard Aaron Jordan (23) was whistled for his fifth foul during the game against Iowa at Carver Hawkeye Arena on Sunday. The Illini lost 95-71. 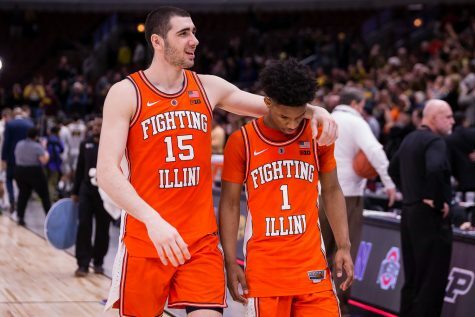 Live by the three, die by the three, Illinois got crushed by the three. 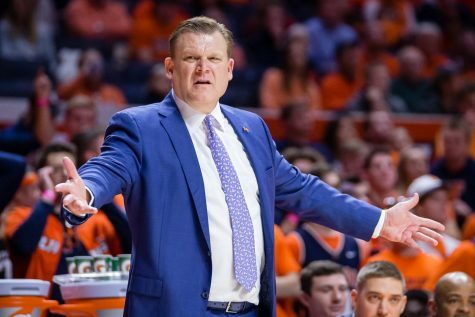 Illinois (5-13, 1-6 Big Ten) was looking for an opportunity to build on the momentum from an impressive 95-68 home win over Minnesota but was steamrolled by No. 23 Iowa (16-3, 5-3 Big Ten) as the Hawkeyes hit 15-of-20 three-point attempts to defeat the Illini 95-71. 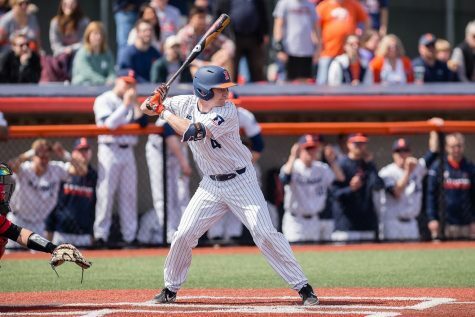 The Hawkeyes have now won five straight, while the Illini have lost six of their last seven games. Iowa put on a historic shooting performance Sunday, shooting a Carver-Hawkeye Arena record 67.7 percent, the best since Iowa shot 67.5 percent from the field against Air Force in 2004. Freshman Joe Wieskamp lit up the Illini, going a perfect 4-of-4 on three-point attempts for 14 points in the first half. Continuing his rhythm in the second, he hit two more three’s to finish with 24 points on a perfect 8-of-8 shooting to match a Dec. 22 career-high against Savannah State. 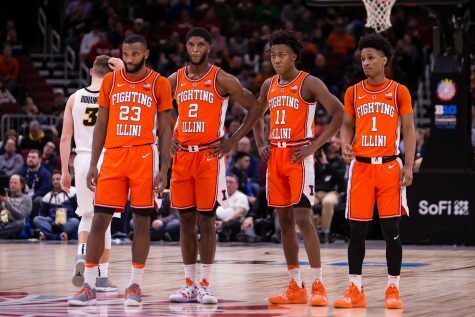 While Iowa hit shots with ease, Illinois struggled, particularly in the opening frame, going 8-for-28 from the field in the first half (28.6 percent). Though they picked it up in the second half, shooting 46.3 percent (19-of-41 FG), Iowa stayed hot, making 21-of-31 second-half field goals. 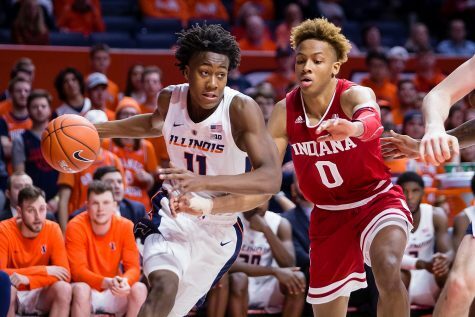 Freshman guard Ayo Dosunmu led the Illini with 15 points, six assists and four rebounds on 6-of-15 shooting. The Morgan Park graduate struggled in the first half, only scoring once, scooping a loose ball up and laying it in and going 1-for-7 from the field. But in the second frame, he added 13 points on 5-of-8 shooting. 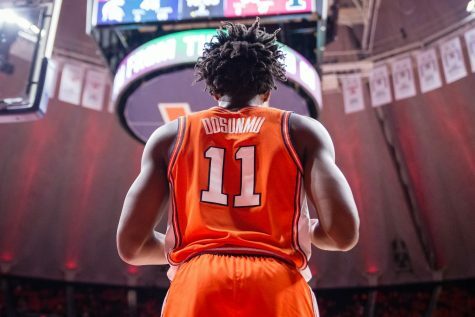 Dosunmu has now scored in double figures during each of his last six games, averaging 20 points per game during that stretch. 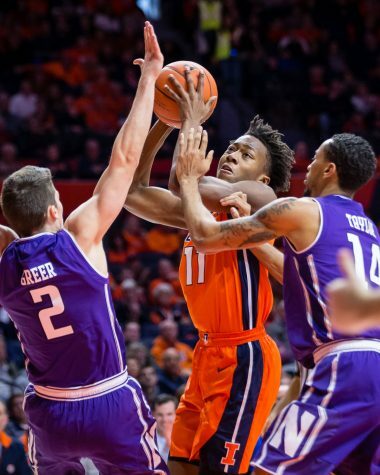 Sophomore guard Trent Frazier was the bright spot for Illinois in the first half, scoring 12 points on 4-of-9 shooting, while the next highest scorer was Aaron Jordan, with just four points. 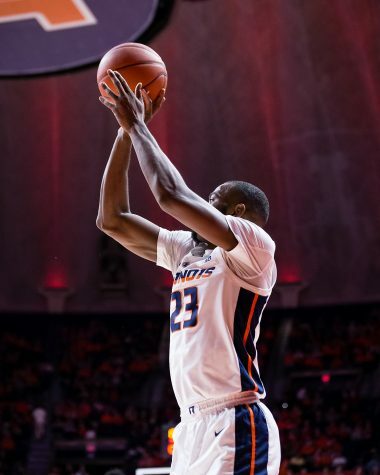 But Frazier couldn’t get it going like Dosunmu in the second half, missing all nine of his field goal attempts including all three of his three-point tries. Iowa had a wealth of scoring options in addition to Wieskamp, with Simeon product Isaiah Moss and sophomore forward Luke Garza adding 21 and 20 points each. Moss had a highly efficient day, hitting five of his six three-point attempts on 7-of-12 shooting with three rebounds and six assists. 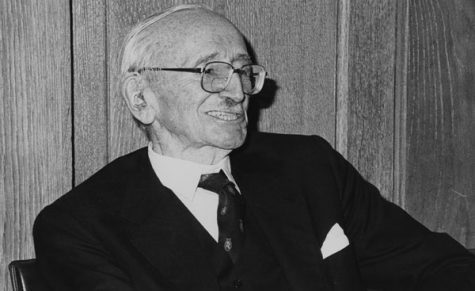 Garza went 9-of-15, often matched against Giorgi Bezhanishvili while bringing down two boards. 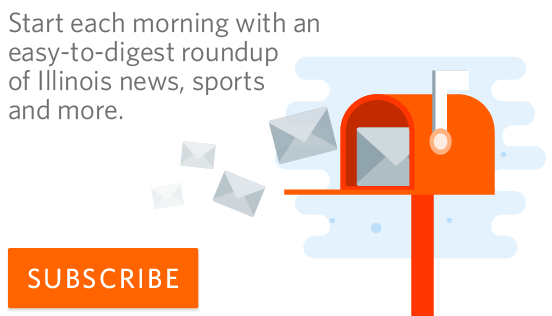 The Illini picked it up on offense after starting the half down 15, scoring 47 second-half points, though Iowa kept the heat on and added 56 points of their own to stretch their margin of victory. 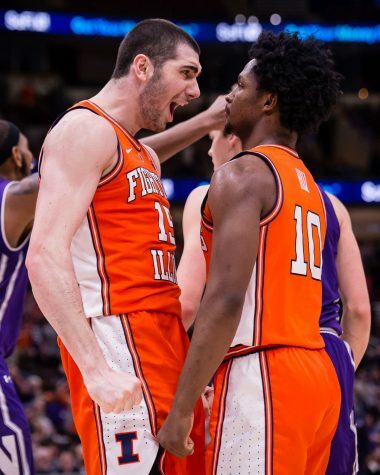 Despite fouling out late in the game after a flagrant 1 call for extending an elbow, freshman forward Giorgi Bezanishvili put up 11 points and added seven rebounds in 24 minutes for the Illini. The Georgia native went 5-for-9 from the field after failing to get off a shot in the first half. Iowa frequently pressured Bezhanishvili, not allowing him to get the ball with much breathing room in the first half. 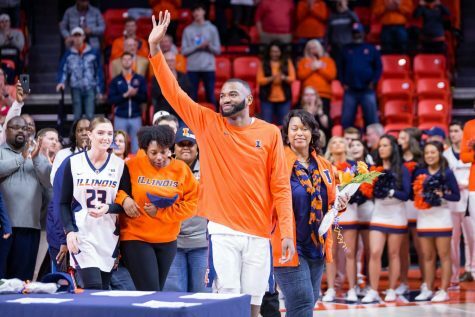 Senior guard Aaron Jordan provided Illinois with a spark down the stretch, adding 11 points on 4-of-9 shooting and four rebounds before also fouling out. Redshirt-junior Kipper Nichols played just 11 minutes and took just one shot while picking up three fouls on the day. 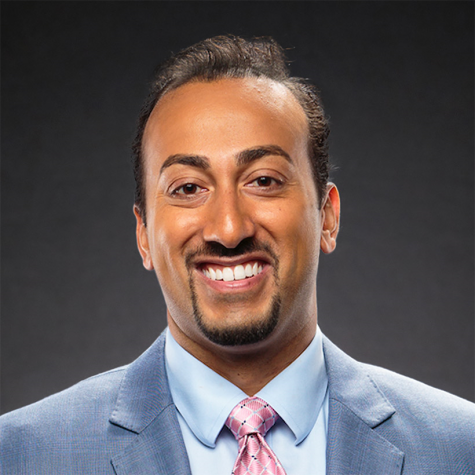 The Cleveland native has failed to score in double figures in back-to-back games since he scored 12 and 14 points against University of Nevada, Las Vegas and East Tennessee State in early December. 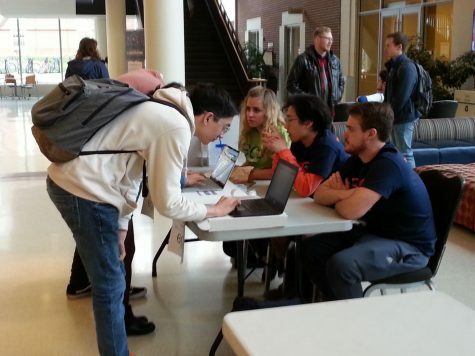 He scored zero points in 17 minutes in Illinois’ win over Minnesota on Wednesday. 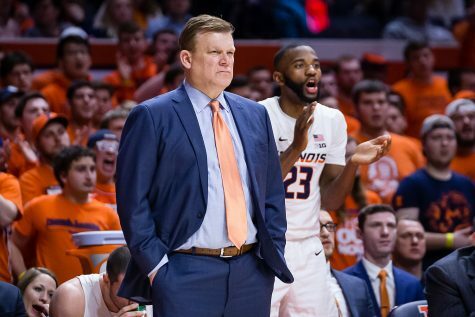 Illinois will host Wisconsin 12-6 (4-3 Big Ten) at the State Farm Center on Wednesday, with the Badgers fresh off a 10-point victory over previously undefeated Michigan.